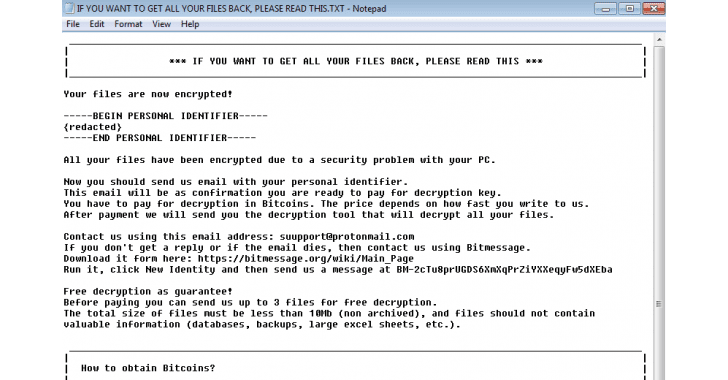 The popular malspam botnet Necrus which has previously found distributing Dridex banking trojan, Trickbot banking trojan, Locky ransomware, and Jaff ransomware, has now started spreading a new version of Scarab ransomware. According to F-Secure, Necurs botnet is the most prominent deliverer of spam emails with five to six million infected hosts online monthly and is responsible for the biggest single malware spam campaigns. Scarab ransomware is a relatively new ransomware family that was initially spotted by ID Ransomware creator Michael Gillespie in June this year. 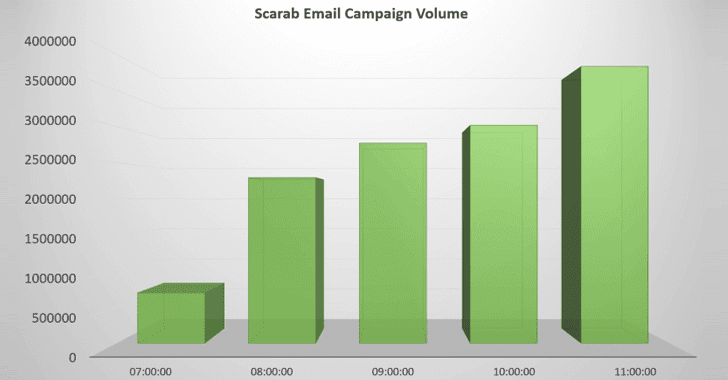 According to a blog post published by security firm Forcepoint, the massive email campaign spreading Scarab ransomware virus started at approximately 07:30 UTC on 23 November (Thursday) and sent about 12.5 million emails in just six hours. The final payload is the latest version of Scarab ransomware with no change in filenames, but it appends a new file extension with “. [[email protected]].scarab” to the encrypted files. Once done with the encryption, the ransomware then drops a ransom note with the filename “IF YOU WANT TO GET ALL YOUR FILES BACK, PLEASE READ THIS.TXT” within each affected directory. To safeguard against such ransomware infection, you should always be suspicious of any uninvited document sent over an email and should never click on links provided in those documents unless verifying the source. Most importantly, keep a good backup routine in place that makes their copies to an external storage device that is not always connected to your PC in order to always have a tight grip on all your important files and documents. Moreover, make sure that you run an active anti-virus solution on your system, and always browse the Internet safely.